That’s great, but how do you incorporate such a bold color into your design? For the cautious, it’s best to start with accessories. 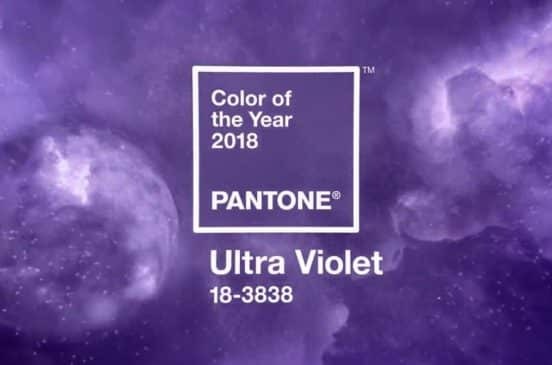 The DENEB ULTRA VIOLET COY18 is Pantone’s officially branded lamp, featuring the exact color. 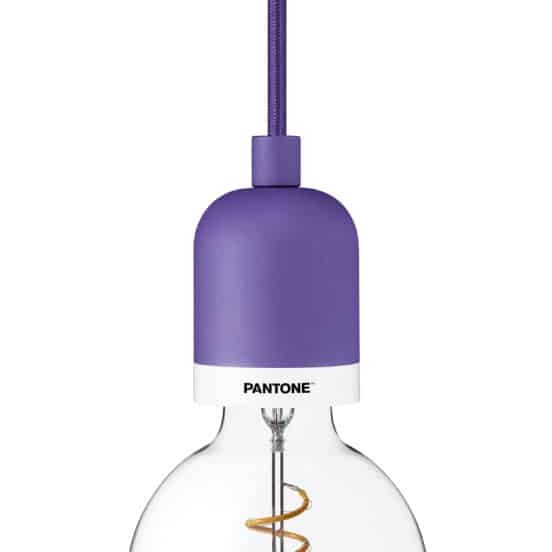 The lamp showcases the popular edison bulb, surrounded by a case of brilliant purple. You could also search out furniture to totally change up your boring old sofa. 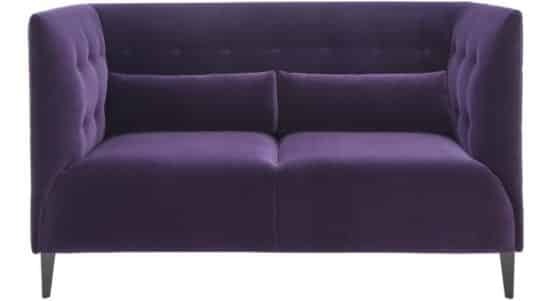 Ligne Roset’s tufted sofa is an undeniably modern take on the loveseat. However, this version is anything but stuffy and looks to be incredibly comfortable. 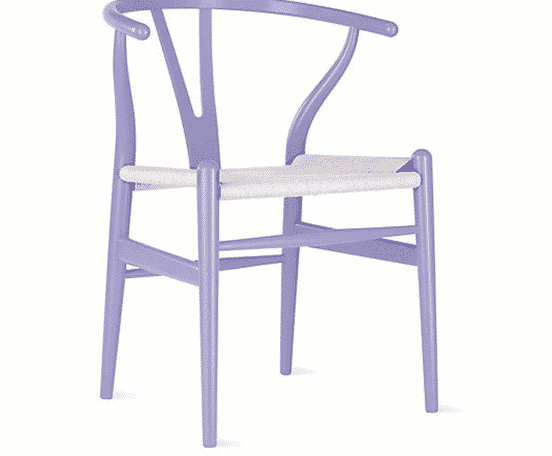 Carl Hansen’s wishbone chair comes in an exciting violet lacquer, just in time for the Ultra Violet revolution. Thinking out of the box? 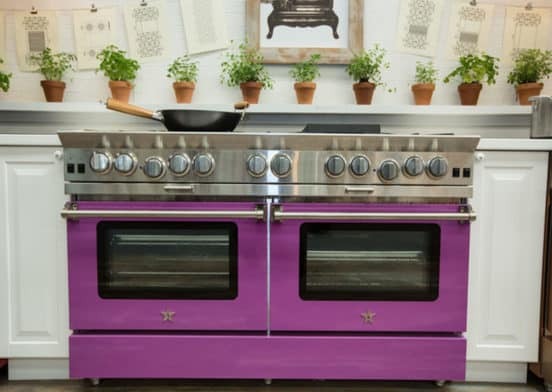 Then opt to revolutionize your kitchen with purple appliances. 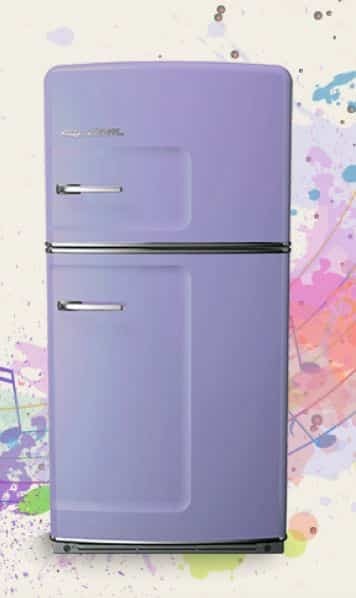 The Big Chill Retropolitan refrigerator is always a head-turner in any color. Now you can make custom colors, including many shades of purple. Bluestar is the counterpart to the Big Chill, but for ranges. The Platinum Range is available in stunning purple, but watch out – it’ll set you back more than $12,000. Although many people are afraid of using the color in paint, as these photos demonstrate, purple can create a room which manages to be both stimulating and calm.